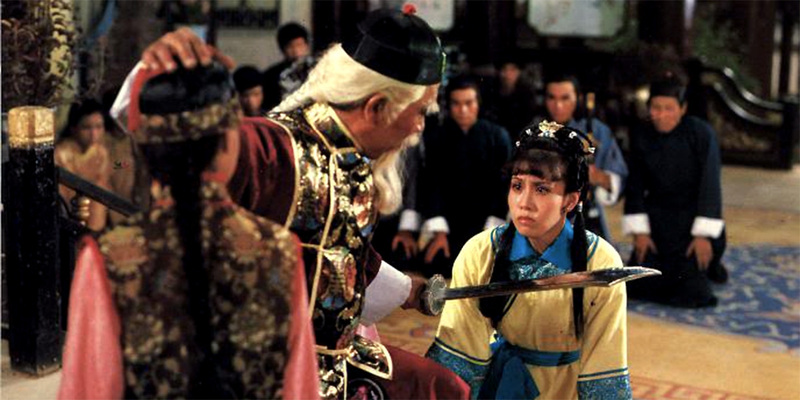 The story of Emperor Chien Lung is a character who I have little knowledge of, but has formed the foundation for a number of Shaw Brothers films. ‘The Emperor And His Brother’ once again tackles the subject and utilises an all–star cast and a director, Chor Yuen, who is always at home with convoluted storylines. Emperor Chien Lung (Pai Piao) is a well-educated monarch who, despite his undoubted intelligence, has little understanding of the plights of the common people. While he rules the Ching empire, talk of a rebellion by the undermined Han people is common among the peasantry. 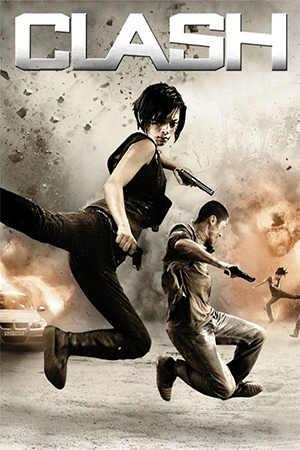 Heading these plans is the fiercely anti-Ching Hung Hua society whose influence spreads throughout the land and who look to honourable Chen Chia-Lo (Ti Lung) for leadership. 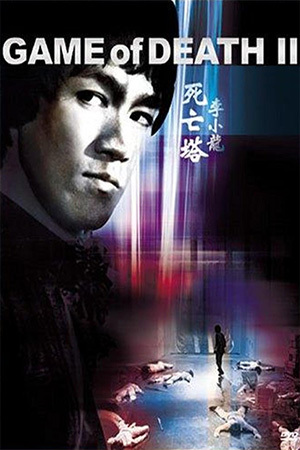 Calling on his kung fu fraternity, Chen’s first goal is to free two imprisoned ‘brothers’ who, after discovering a diabolical secret, are imprisoned by the government. 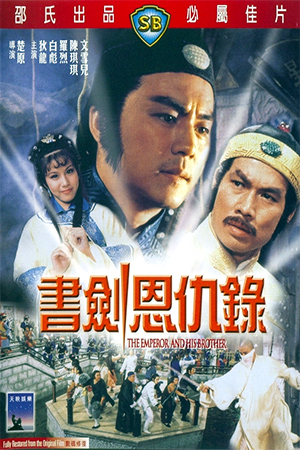 As Chen is master of the mysterious ‘Peacock Fist’, this rescue mission proves to be successful and the saviour himself learns the incredible secret: Emperor Chien Lung is not the real son of the former emperor and, to make matters worse, is actually a Han who had been switched with the real emperor at birth. The few Chings who are aware of this secret have done their best to cover it up, but the Hung Hua society are now focused on exposing the truth and trying to garner Chien Lung’s support for the Hans. Beginning with a baffling, character-filled exposition used in order to fill in the background of the story, ‘The Emperor And His Brother’ is hard work for anyone unfamiliar with the original text and history. Many Hong Kong films draw on the complex and richly-detailed history of China and often these themes are unknown to many westerners. Nevertheless, few are as uninvolving or confusing as this early 80s Shaw Brothers production is. The opening ten minutes is supposed to help in this regard, but it merely introduces the intricacies of the plot and characterisation in a very alienating manner – at first I thought ‘The Emperor And His Brother’ was actually a sequel to a film that had obviously passed me by. Chor Yuen is not averse to adapting difficult texts; many of the films he is famed for are based upon the labyrinthine worlds of writer Gu Long. This is not an example of Chor Yuen at his best though. 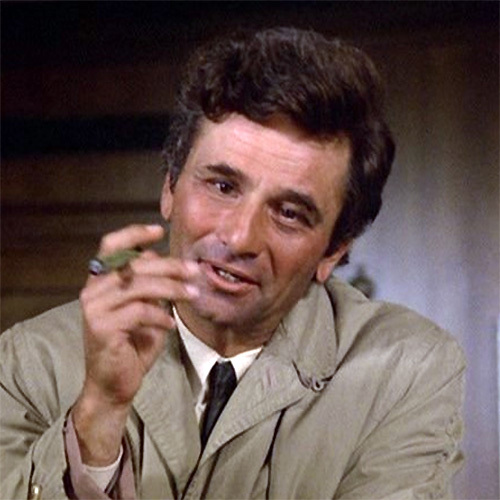 Even after the murky plot becomes slightly clearer, the various squabblings of the band of heroes takes up too much of the running time. With Chor Yuen at the helm and another talented Shaw Brothers’ cast present, it’s no surprise that this isn’t a total disaster. Ti Lung is so at home playing the hero in Chor Yuen’s films that he once again commands the role with all of the aplomb that’s expected from such a major star; it’s always intriguing to see how confident an actor Ti Lung became in the late 70s, early 80s. The production also benefits from the director’s lush visions and ornate set designs, something that always becomes a pleasure to behold in his work. By filling the screen with such opulence, Chor always manages to create a martial world quite unique within the genre – ‘The Emperor And His Brother’ despite numerous flaws, makes good use of this. 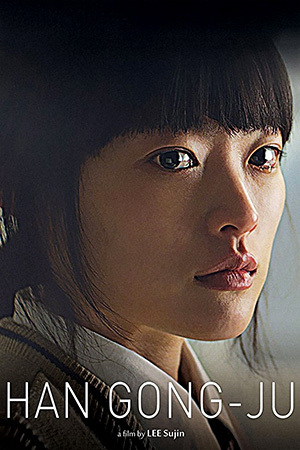 ‘The Emperor And His Brother’ isn’t able to side-step the plot contrivances as some films do. 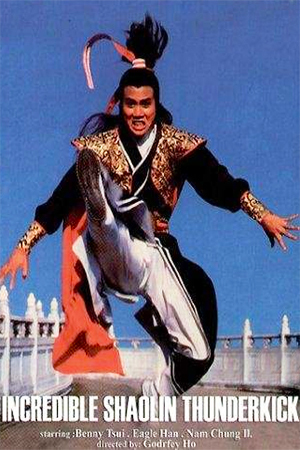 The action, though enjoyable when Ti Lung uses his ‘Peacock Fist’, doesn’t stand out from the crowded market. Despite being made in the early 80s, the choreography lacks the invention and energy common to this era. This, for many viewers, may be the main problem that hinders ‘The Emperor And His Brother’ and anchors it to a solid, yet unimpressive three star rating.